It was just another afternoon on September the 25th,2014 that Grubzone came into existence. The choice to make this blog was on a strong whim and it was a great decision. For the past year, The Captain and his crew went all over Mumbai to discover some of the finest food places in Maximum city. I am extremely happy to announce that Grubzone has successfully sailed the seas of adventure for a year now. But visiting a new place is an adventure on its own so tis' Captain has decided that he shall chronicle his travels too in his journal. Grubzone will now be a Food and Travel Blog. 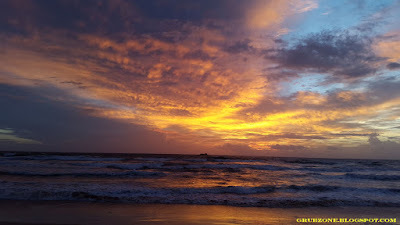 Expect some posts regarding my trip to Sri Lanka to appear really soon. A little Teaser for ya mateys - This is a Sri Lankan Beach at sunset. Your views, occasional comments, criticisms, praises and mails have kept me going. From my first post to my last post, each article has been new experience for me. I hope you keep reading and sailing on board SS Grubzone. This ship will keep sailing. Here is to many more restaurants and places around the world. Captain : Bow you dim lads. Crewmate 1 : To whom Cappy? First Mate : I see no one mate? Quartermaster : Are you feeling all right Captain? Crewmate : Just do it or he will make us sweep the decks again. Engineer : This is so very strange. Captain : Just do it fellas, no questions asked - its for good luck. First Mate : Oh its a lucky ritual then? Why didn't ya say so in the first place mate. Tis' was a hot day as I stood on the deck looking at the horizon. We passed many a barren isles and shoals but no civilization. I climbed me ship's mast and looked further than the lookout could. There was something in the far side of the sea. Me face suddenly wore a smile when I saw a huge island with plenty of restaurants. We had many a choice. Thus to pick a tavern, I placed a bottle on the deck surrounded by eight pieces of folded paper. Each piece had a restaurant name written on it. I spun the bottle as me crew keenly watched in anticipation. The bottle spun for a while, slowed out for a bit, wobbled and then finally stopped. It pointed at two o'clock. So I picked the paper at that position and unfolded it. The suspense was building. And the name revealed was Spices and Flavors. Everyone needs a bit of spice and a whole lot of flava' in their life. Due to some strange alchemy somewhere, I have been getting a lot of invitations from vegetarian restaurants. Spices & Flavors(SnF) isn't a new name. Its quite popular and was actually recommended by my family who have been there a few times. I did not know much about it since I usually bat for the carnivore's team. But eh a trip down the vegetarian lane isn't bad. Being stuck in abnormal traffic and reaching the place almost after ninety minutes(the route is just 22 mins without traffic) of traveling had made me famished. SnF is not a loud restaurant. 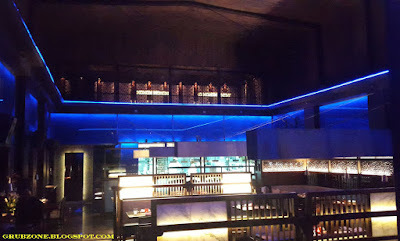 The ambiance is quite ordinary and usually intended for the office going and stock market folk who are the usual fellas around here. Not wasting much time, I went with the Captain's food recommendations. SnF has recently upgraded its menu. The only thing better than food is more food of course. So an enlargement of the menu is always a good thing. 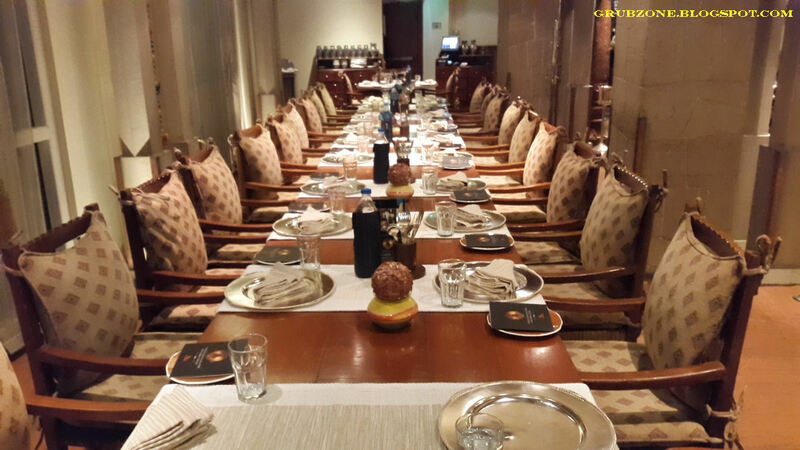 The restaurant has added items like gourmet pizzas, sizzlers and Cheese Fondue to their "mostly" Indian menu. The new found diversity is quite a welcome move. The Gnocchi Spinach soup felt like a thinner version of Palak ka Shorba. 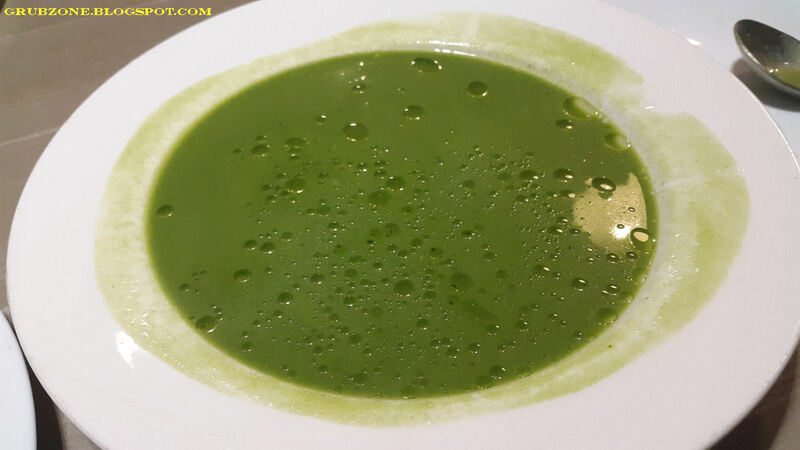 (Indian Spinach soup). A few chunks of Gnocchi sank to the bottom of the green sea. The Gnocchi were salty, absorbing both the flavor and aroma of the soup and melt in your mouth kind of soft. The portion size was quite generous. It was perhaps the largest volume of soup that I have ever found in any restaurant. 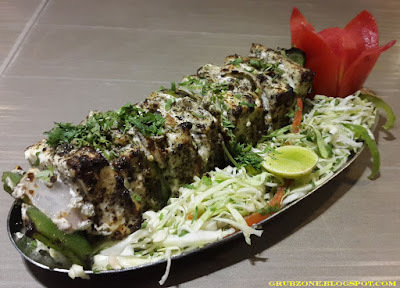 Paneer Kalimiri Kebab was a commendable vegetarian rework of the popular Chicken Kalimiri kebabs. Although these lacked the natural saltiness that their red cousins have, the spices were more largely felt on a paneer base. The earthly aroma of spices and the heavenly flavor was quite a combination. The paneer on its own was soft and velvety. 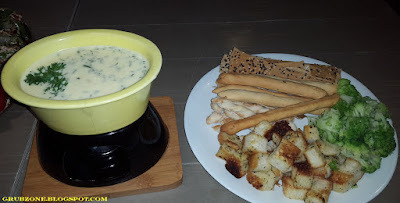 Cheese Fondue was a new addition to the menu. Though the color of the fondue was not quite the typical yellow that I expected, the flavor was accurate. It was a bit saltier than the average fondue. I spent a good amount of time dipping the different supplements with the cheese and devouring them. The Lavash crackers went best with the cheese followed by the bread cubes. The cheese straws and the broccoli were quite good too. The breadstick however felt out of place. To put it short, it was quite a good Fondue. Captain : Bread cubes, Cheese straws, Lavash and even Broccoli. Time to walk the plank. Crewmate : And into the sea of Cheese. Captain : And then into me mouth. Ha. The Paneer Hazari masala was a mildly spicy and very savory dish. 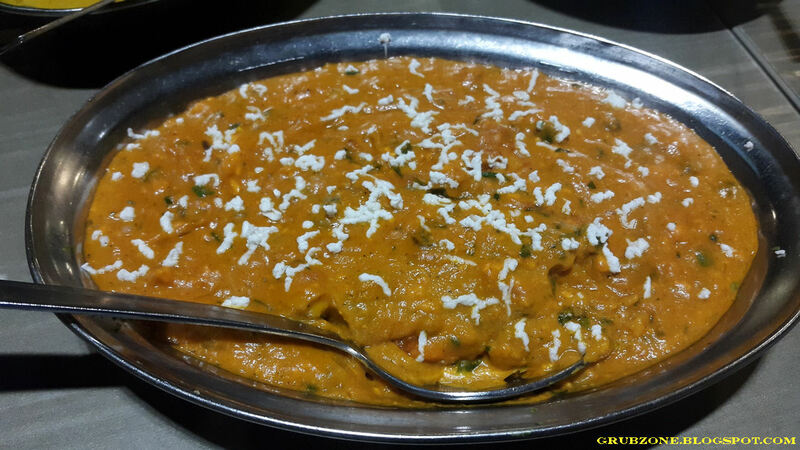 The gravy was thick and yet its flavor had rubbed on the paneer cubes quite well. More than salty, the spicy sensation dominated this one. T'was truly a dish of a thousand spices. Although, I am not quite sure if Hazari meant a thousand in this case ha. The aroma was very appetizing and the visuals equally enticing. Vegetable Toofani Masala was a good dish but its name appeared strange to me initially. I expected Toofani to be hot. 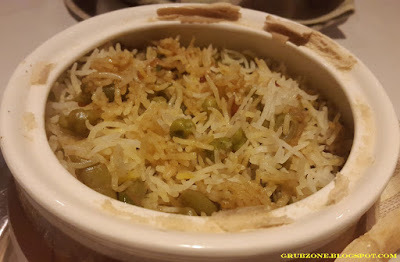 The taste was quite mellow and very similar to Vegetable Makhanwala. The dish had a smooth buttery gravy with a great aroma. The presentation was further enhanced by the addition of the paneer streamers at the top. I think this was definitely the dish of the day. 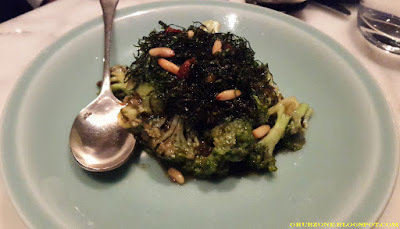 Its difficult to explain but the fact that I liked the most about this dish was the chef's work with the spices. The cooking emphasized the flavorful spices which sent me taste buds on a high. The spices really stood out. That was when I realized what Toofani stood for. It was the storm of different spices that would please the palate. Captain : A spice storm be headed our way. Crewmate : All sails down, Cappy? Captain : Aye but luff the taste buds to the flavor matey. 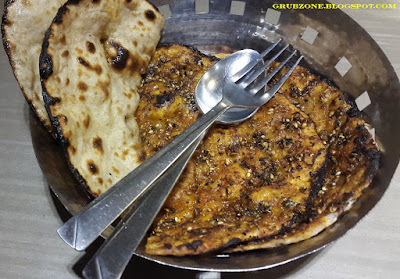 I tried the Masaledar Kulcha which was a dish on its own. It was rubbed with spices and would make a great spicy pancake. 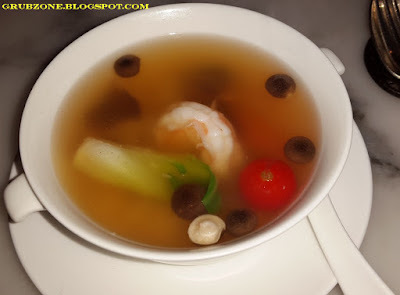 It drowned out the flavors of the two dishes above sadly. It however would make a great accompaniment to a mild tasting item like a Dal or something. It was oddly addicting as I found myself finishing it without dipping it in the dishes, somewhat like an aloo paratha. 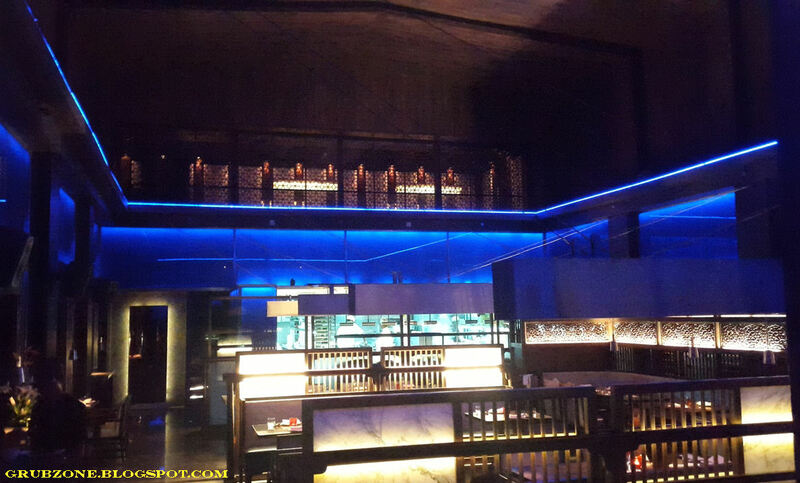 The service is quite good as the servers are professional, experienced and well informed. It is on par with most casual dines across town. The pricing tends to be a bit on the higher side but that's expected on this side of town. The food is worth every penny spent. The fact that the restaurant had many patrons even at 3 PM speaks volumes about its appeal. It was a fun experience and I find myself enjoying my vegetarian hat. Their new Menu definitely is worth the effort to go there. Loved that Fondue. "It was worth traveling through those barren isles to this place. But we must continue to seek more food, so lads time to get yer sleeves up and work the sails." It was quite dark...until the wind blew away the cloth covering me face. I was feeling lazy as the ship moved slowly under the sun. The radio officer came to me and reported that he has found a nice cafe that can send grub right to me ship. Upon knowing that this place was not that far from our current position, I decided to be a little adventurous and go this place myself. I got up from me relaxing chair and as I raised my hand to signal the lads to change directions, it became dark again. The wind blew back that darn cloth on me face again. Meal Box Cafe is a tiny installation located in a nondescript locality opposite the mammoth Peninsula park. However, this stems from the fact that they specialize in home delivered food and not in-house dining. I still chose to drop in since its quite close to my home. They serve European and Asian from which I chose the former. And I was extremely pleased with what this small cafe served me. The place had some of the best continental food I have ever had. Chicken Paprika with Cheese bears no similarity to its Hungarian namesake and is much of a snacky house invention. 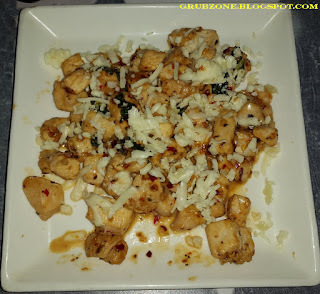 For 180 INR this was a very satisfying starter with loads of chicken cubes, cheese and just the right amount of paprika. The item was mostly salty owing to the natural saltiness of table cheese and added salt. The paprika added some savory spiciness to it. The chicken was well cooked with flavor oozing out of ever cube chewed. This has to be one of the best appetizers I have had. I was quite surprised since I did not expect it to be this good. This was high quality grub. Captain : I should have come alone. Crewmate : Ha, so you could eat all this by yerself. Captain : Hey! Hands off the grub. Captain goes in first. Chicken Stroganoff is a dish that has always intrigued me. This was my second run with this dish and definitely my best run so far. My first time left me a tad bit disappointed and that was in a five star hotel. The creamy sauce made of smetana(Central/East European version of sour cream) was quite addicting. The flavor was salty, creamy and savory. 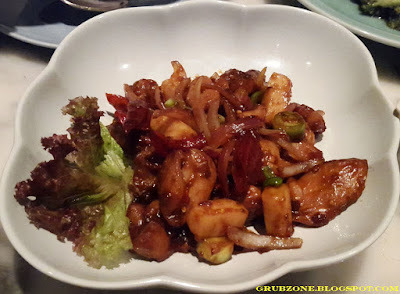 The tender chicken pieces had completely been soaked with flavor and were one with the gravy. 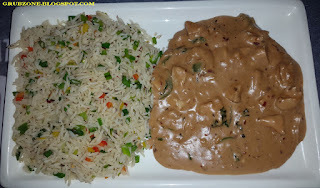 The rice itself tasted great but mixing it with the stroganoff stew was even better. 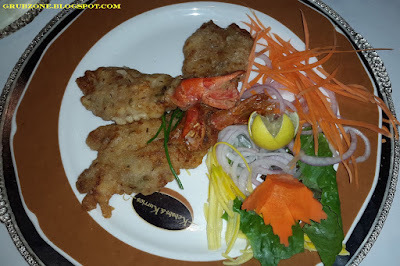 At INR 250, this was a well worth the buck experience. And I am quite hooked to the taste. I am now as fascinated with stroganoff as I was with Butter Chicken once. Captain : Methinks, the Russians make some great food. Crewmate : In Russia, great food makes you. Captain : Well lad, you are what you eat. Cranberry Apple Chicken was a name that mystified me. I have never had cranberry with food before. So naturally, I was curious about this. Added to the mystery was the fact that Google threw up a completely different picture from the version here. This dish was made of thick grilled chicken breast slices in an apple and cranberry sauce reduction with brown jus(Which i suspect was chicken stock). There also seemed to be a hint of Balsamic vinegar in it. While the gravy itself was a mix of sweet, salty and tangy flavors, the chicken tasted a bit insipid and leathery. It had not blended well with the stew. The gravy was quite amazing though and I was sad that the taste did not capture the Chicken's core but it still was an enjoyable dish. I do suppose that leaner and more slices of chicken would fare better than the thick and few. 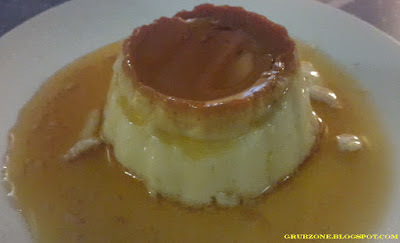 Caramel Pudding was one of the two desserts offered by Cafe Meal Box. It was dense and tasted perfect. 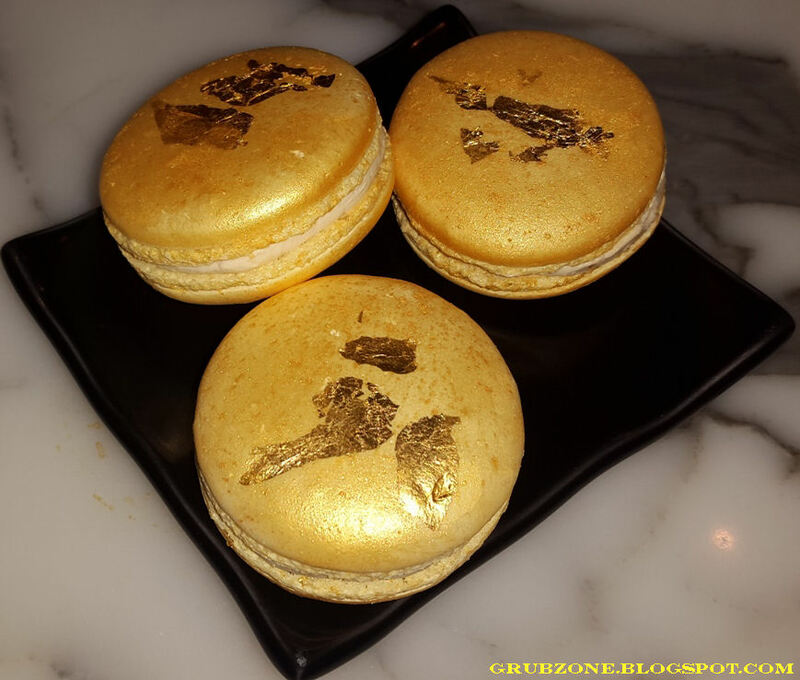 The sweetness was appropriate and the dessert was juicy with caramelized liquid oozing out. This was far superior than most variants I have had elsewhere. 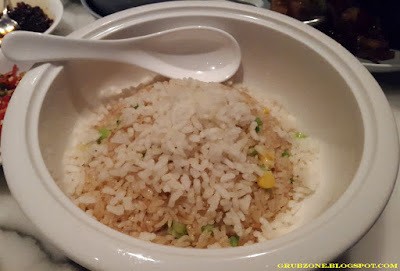 Since its more of a Quick serving restaurant which specializes in home deliveries and take-out, there isn't much to write about service. The pricing seems very decent for the premium grub. 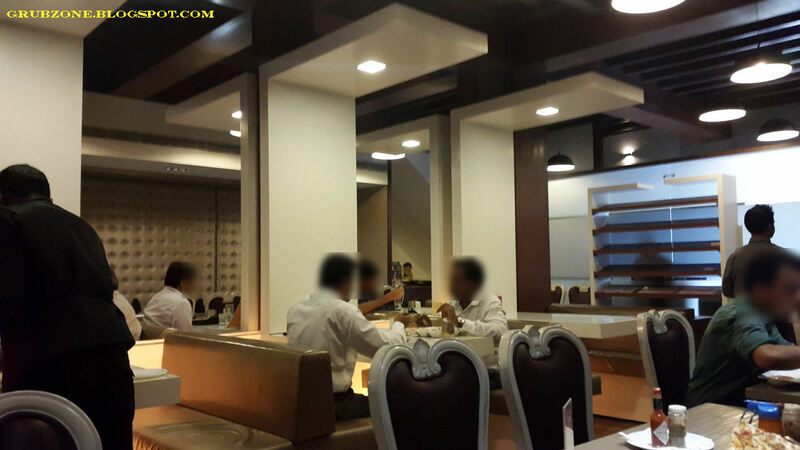 Its surprising how a small cafe can produce continental meals that easily beat many casual and fine dines in quality. While this particular event was on the house, I see no reason to not have this place on my fast dial. A stroganoff or a Roulade is sure to lift me spirits in dark times. 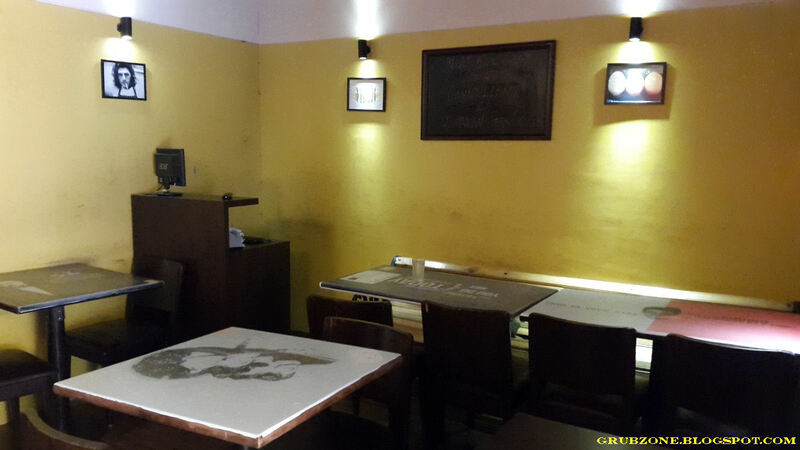 Meal Box Cafe is definitely a gem in the ever growing vibrant Mumbai food stream. However, a small suggestion to the management would be to increase the dessert menu from two to at least five. "Eh mateys, we should sail near these coasts more often. This grub was among the finest that we have ever had. Mark this place on our map of favorite taverns so that we may be here again someday." We were sailin' through familiar seas and I had me looking glass glued to me eye. I was looking for a place that I had visited many moons ago. Soon enough, I spotted it on the horizon. An island with a lone grand palace on it. Unlike last time, the ship was in good health and I was just on the look out for fine grub. As we approached the island, the radio buzzed. The message told something about a restaurant in the palace celebrating its birthday. Eh! people celebrate birthdays, how does a restaurant do it? Intrigued, I chose that restaurant for my excursion. There be something special about it, I could feel it in me bones. The erstwhile Kebabs and Kurries renamed itself to K & K. It is an award winning restaurant that is primarily known for North Indian grub especial Kebabs. (Psst, The name was a giveaway.) The establishment is celebrating its tenth Budday...err anniversary in a grandiose fashion. 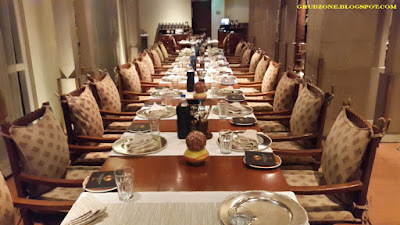 ITC Hotels had summoned eight of its finest Chefs from across India to Mumbai in a celebration fit for a king or at least a greedy Kebab lover like yours truly. The Ala-carte menu for this event offers forty (yes you read that right) different Kebabs covering eight different cities and local cuisines. Sadly, the event lasts only till 13th September which means you can read this later and head to K&K right now. Its truly a celebration of Kebabs or Jashn-e-Kebab. I had been invited to a Blogger's table event in which one could sample sixteen of these forty kebabs. I was thankful that it was not forty. It would have been too much to eat and write about. But sixteen is not a small number either. I wonder if I made it into some kind of record books for the most number of different gourmet kebabs eaten in a day. Oi Guinness! are ye listening? 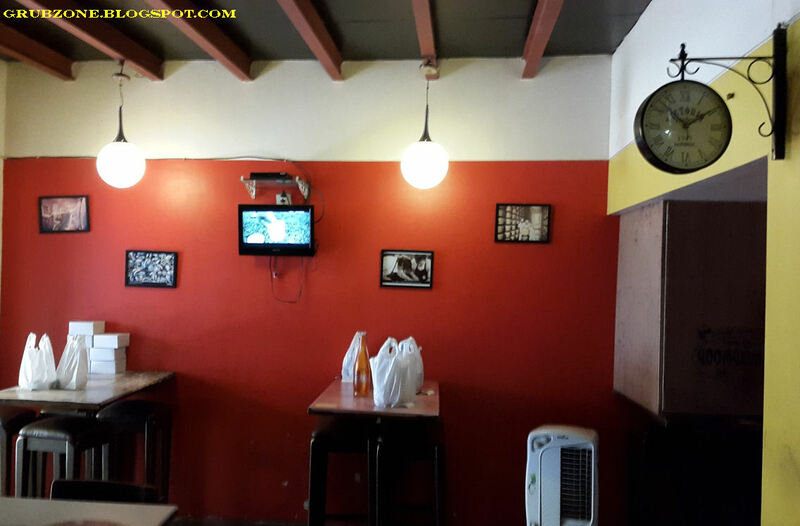 The restaurant has a typical North Indian-Mughalai appearance. The golden lights and decor work well. Although, I found the ceiling work to be a tad bit of a mismatch. One is greeted with an open kitchen where one can see the grub being made. 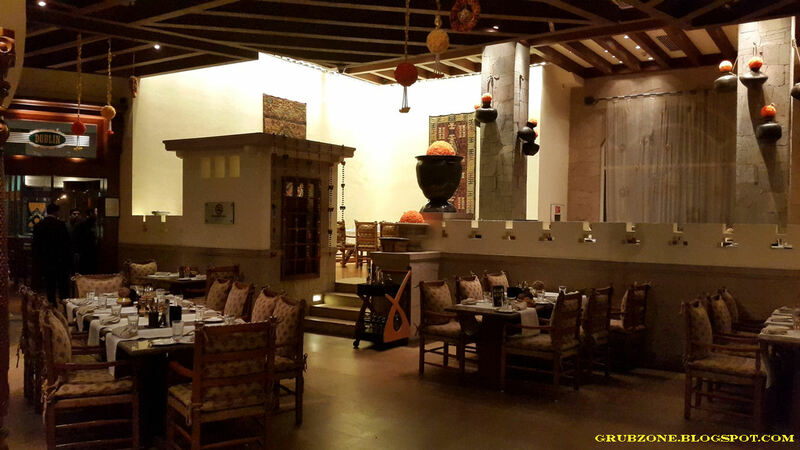 The restaurant defines itself into three regions - The Maidan(Open Ground), The Kheema and Qila(Fort). Maidan is meant for small groups as visible on the lower floor of the above picture, Qila is slightly elevated giving people a view over the entire restaurant and the Kheema is more for community folks on a large communal table. The evening opened with a glass of sparkling champagne and soon enough each of the eight chefs presented two Kebab dishes each. Each Chef brought their signature style of cooking and regional influences on the table. North, South, East, West and Center - Most of India was covered in their collective work. A Chef who has been working for twenty eight long years in the ITC Grand Central Kitchens, Chef Haji Mohammad Farooqui has certainly mastered his craft. These tender, succulent Lamb Kebabs were so good, that I compared everything after this with it. It was the paradigm of a good kebab. This had a very North Indian and homely feel to it. Its a cuisine one would rarely come across outside Lucknow. These Kebabs were cooked overnight in malt vinegar and a collection of fine spices. It is said that these Kebabs were once served in royal courts of Mughal emperors and somehow the recipes have survived though a few chefs. Captain : Oi, as Captain I ask you to give me your Gulnaar Kali. Crewmate : Mighty nice of you to come straight Captain. But sadly I cannot give you my Kebabs. Captain : You are disobeying your Captain mate? Peekaboo its Guftaguu - ITC respects its Vegetarian customers and as a result each chef had at least one vegetarian craft on offering. 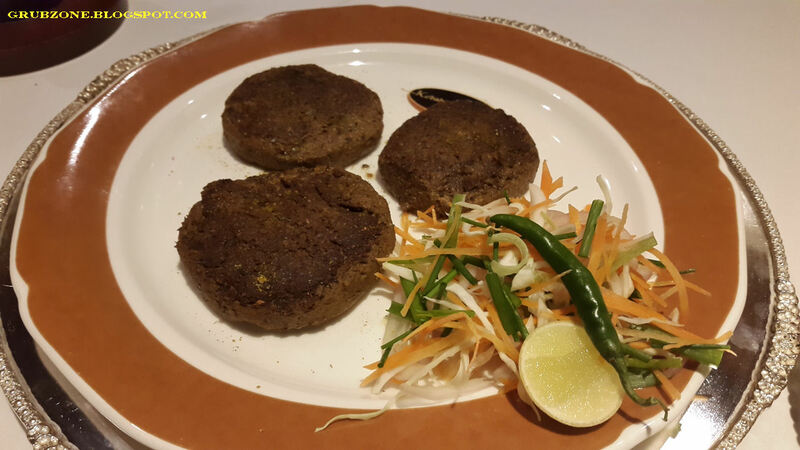 Chef Haji's kebabs are made of minced Cabbage mixed with saffron and cardamom. Although I am not a big fan of either cabbage or vegetarian grub, the melt in your mouth trait of these Kebabs was certainly appealing. 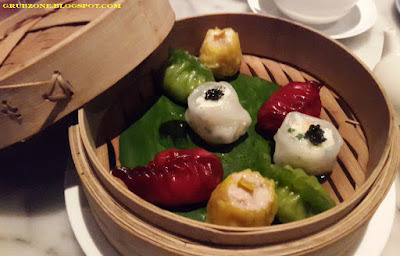 These would dissolve right away leaving the spicy mixture as an after taste. Chef Sundar from ITC Grand Chola presented the Kovalam Vathu Ulartyathu Kebabs. Lets call em KVUs for now. 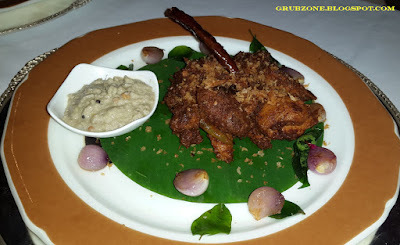 These tender morsels were made of Kerala style pot cooked duck. All right, this was my first time eating a duck so excuse me if I am incorrect - The meat didn't taste that different from chicken but the spice mixture in which it was cooked was quite potent. It was spicy and strangely the addictive kind of spicy. The flavors seemed to permeate deep into the meat making the entire bite a flavorsome experience. Captain : Duck tastes much like Chicken. Crewmate : For a lover of fine food, that sounded very naive Captain. Captain : Who cares? I enjoyed the duck and the spice mix was lip smackin' good. Chef Sundar's banana blossom and spiced potato Kebabs had a new flavor for me. Though I did not find myself liking this newly experienced flavor of banana blossoms. 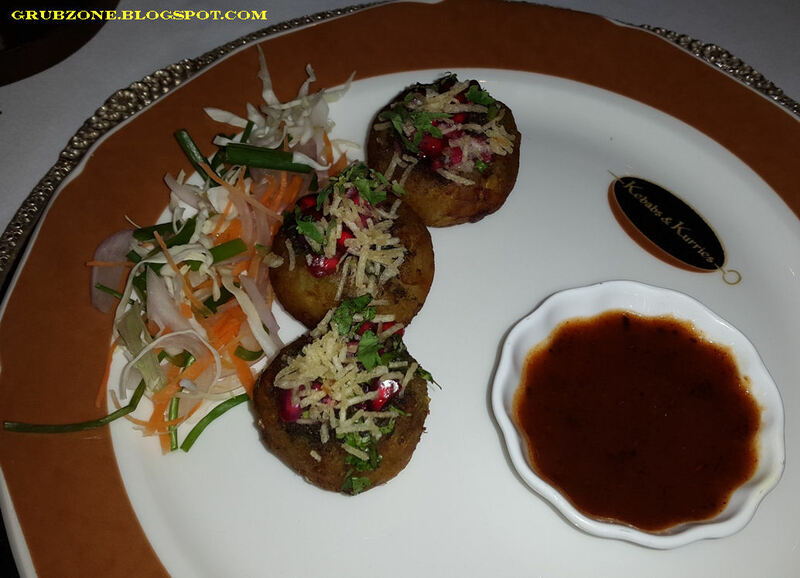 Chef Surat Singh from ITC Mughal brought forward the Sarsonka Machi Kebabs. These were made of Fresh water sole. The kebabs were cooked in a mustard marinade, stuffed with chilies-spices and charcoal grilled. The chef wrapped them with a thin slice of eggplant as a finishing touch. These were juicy, soft and almost perfectly cooked. Mustard and fish go very well together. Kache Kele Ke Kebab had a lot of K in it but apart from that, these were made of minced raw banana wrapped in mace and green cardamom. 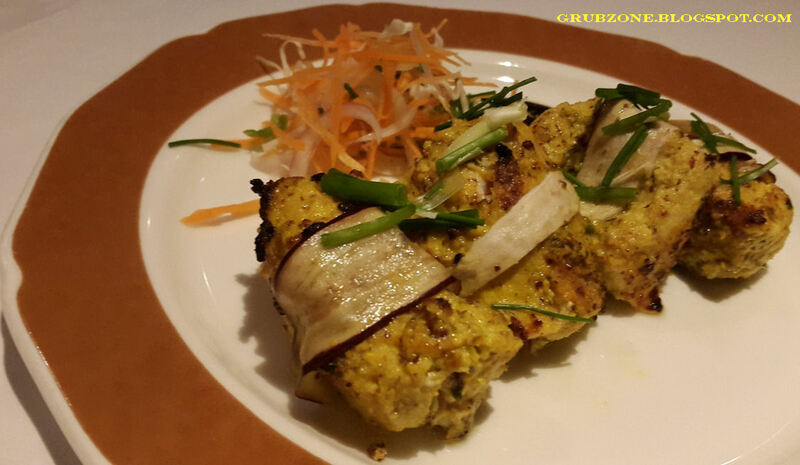 Though I am not originally fond of Raw Bananas in Indian cooking, Chef Surat had really worked the spices well in this chargrilled banana kebab. The Kebabs tasted much like potato kebabs and they easily got lost in the mouth. These were not the melt in mouth kind but somewhere quite close. It was a unique experience. Chef Gunjan Goela presented her vegetarian only Kebabs made with a lot of old world knowledge. Vrantikam Kebabs were well plated. It resembled Tacos in some sense. 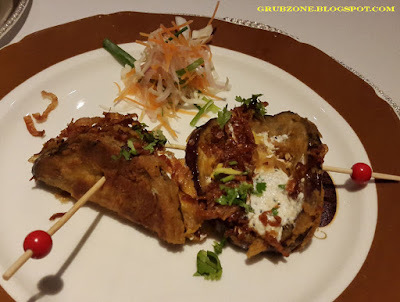 These were made of thick slices of eggplant stuffed with onion and hungcurd. I however could not get over my dislike for eggplants to enjoy the dish. The thick slices of eggplant did not appeal to my palate at all. Shabarkand was again well plated and this one synced well with me. These were made of sweet potatoes cooked in charcoal. These were served with sweet and tangy chutneys and topped with pomegranate and sev. 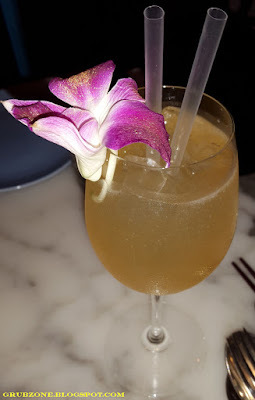 This had a mix of sweet, salty and tangy sensations. It felt very close to the popular Mumbai street food of Ragda pattice. 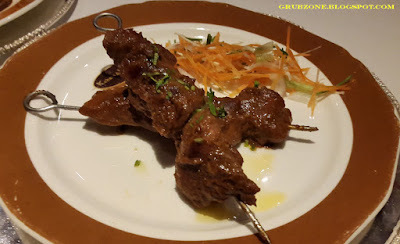 Its important to note that Chef Gunjan invented both these Kebabs so it would be impossible to find it elsewhere. Chef Zaki Kazmi from ITC Gardenia brought a wonderful creation in form of Pathar Ka Gosht. 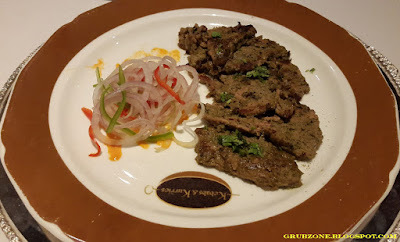 These lamb escalopes were grilled on stones in a technique only used in Hyderabad. These thin slices of meat tasted great. The yogurt and the mild spices made the flavor creamy and savory. These ended up being one of my many favorites at this event. Captain : These thin sheets of meat be me favorite. Crewmate : These get over too fast. Captain : Your shoe laces are untied mate. Crewmate : Oh let me check. (Bends) I don't have shoelaces on my sandals... HEY where did my Kebabs go? Captain : You just said that these get over too fast, right? 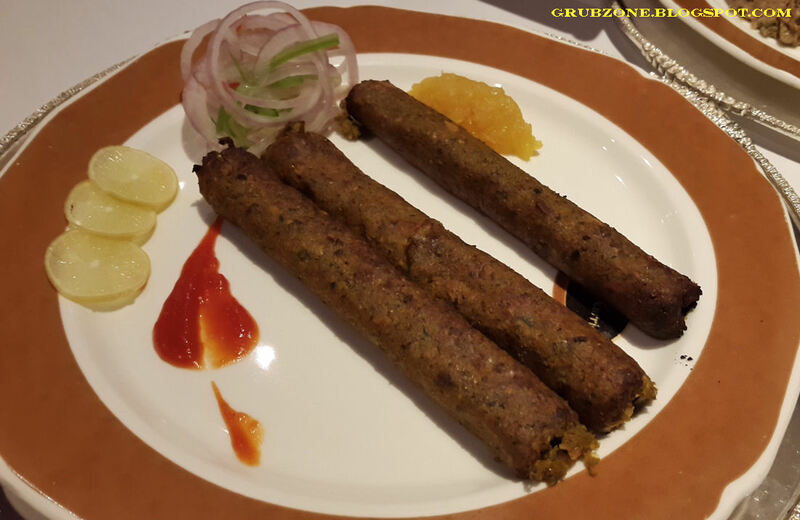 Chef Zaki's Gulezar Dhungari Kebab resembled Cigars to be honest. 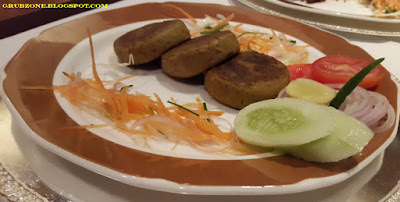 These were tasty juicy vegetarian kebabs and I instantly found a liking to them. These were made of minced Garden vegetables, dry fruits and wrapped in aromatic spices. 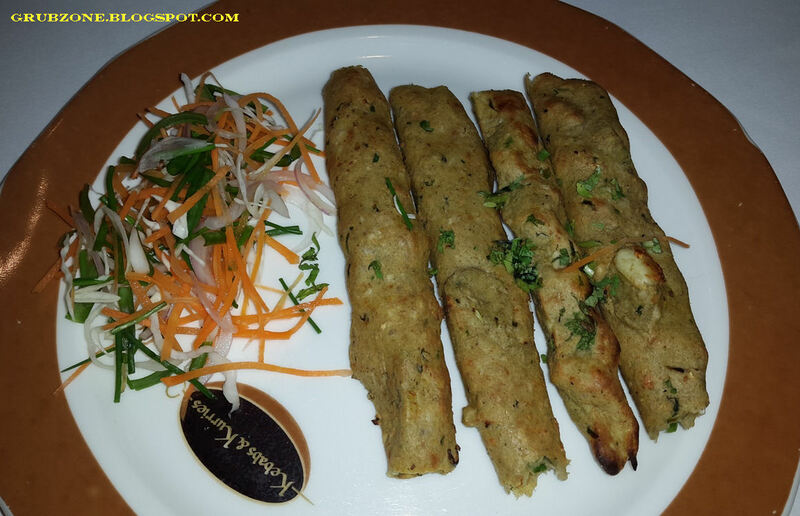 The Kebabs were cooked on skewers in a tandoor and felt soft with a calming flavor. I am no chef but somehow felt that the flavor could have been enhanced further with the addition of Cheese in the core. Chef Srinevasu of ITC Windsor brought this succulent shishkebab called as Bijapur Mutton Roast. 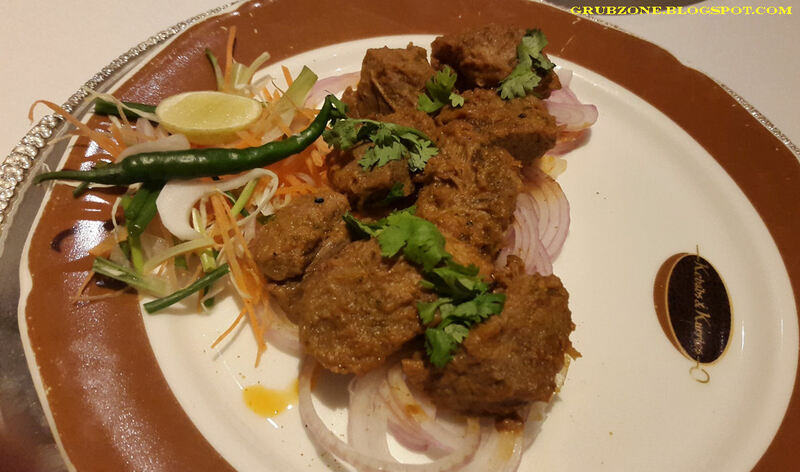 This kebab was made of roasted and yet juicy chunks of lamb cooked in a style popular in the district of Bijapur. The spice mix was unique and I found the flavor of Star Anise to be a new addition to Kebabs. The kebabs were roasted with curd, almonds and coconut and as a result their flavor had married the meat perfectly. The aroma was quite appetizing as well. 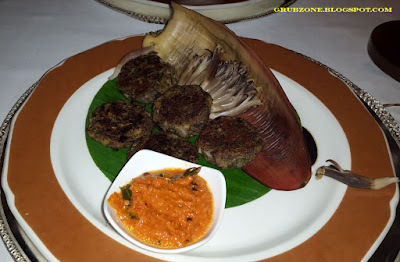 If I had to judge on aroma alone then these morsels had the best among the dinner platter. 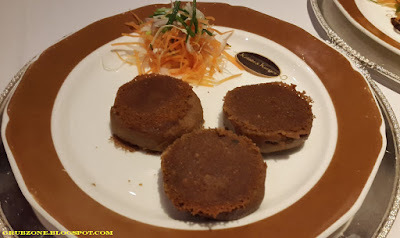 Chef Srinevasu's Tofai-e-Zameen looked like brown ice hockey pucks. The shape was almost perfect and these had a powdery appearance on the top. These were yam kebabs stuffed with cheese and pomegranate. The flavor was a bit strange with sweetness of yam and pomegranate slightly clashing with the saltiness of cheese. It felt very much like a lentil Kebab due to the chickpea it was wrapped with. Can't say I liked this one. Chef Akshraj Jodha served us with Achari Maans Ka Shola. These were again Lamb Escalopes with an unique addition of Figs and Rum. But somehow I did not feel Figs and rum anywhere and the flavor felt very Rajasthani. The coriander was strong on this one. Chef Akshraj had fused the Royal desert state's spice mix perfectly with the meat. Its surprising how the same Lamb Kebabs can differ so greatly from chef to chef. 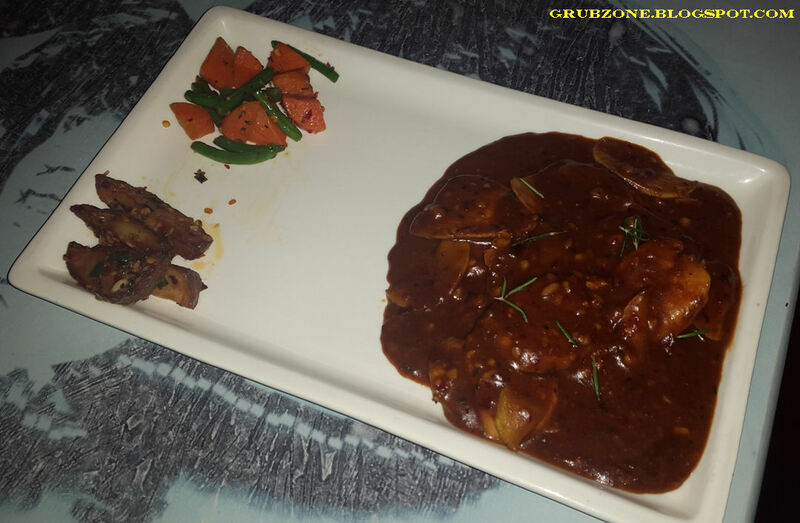 Sangriki Shami by Chef Akshraj did not feel Rajasthani. It strangely felt a bit Kashmiri to me atleast. 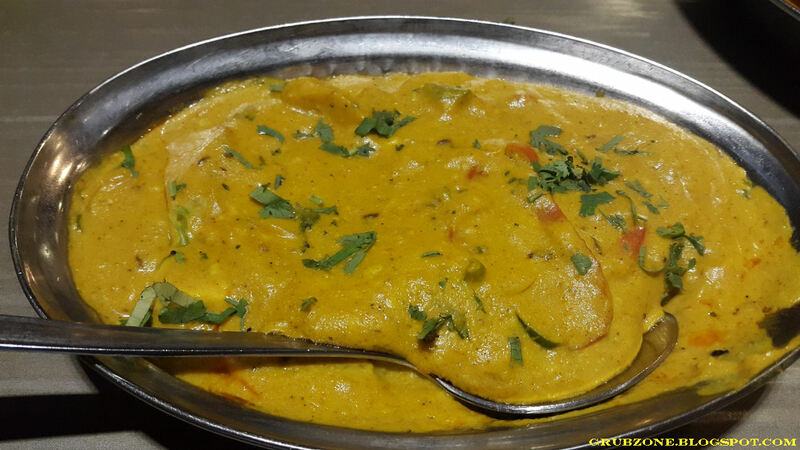 It was made using a Rajasthani recipe involving cluster beans and Chana dal known as 'khersangri'. Chef JP Singh of ITC Maurya served great meat and vegetarian kebabs. Jhinga Firdaus Shahi was as good as Gulnaar Kali. These were my two favorite meaty kebabs of the evening. These tender freshwater Shrimp kebabs had a crunchy batter coating and a flavorsome core. These were marinated with Firdaus E Mauj spice mix which I apparently have no idea about. All I knew was that these were crunchy and tasty. Just the way I like them' shrimps. These could make great bar nibbles as well. Captain : I always love me a crunchy shrimpy Kebab. Crewmate : What is Firdaus E Mauj? Captain : Uhh..Why don't you google that while I finish eating...err wait for you to find out :D? 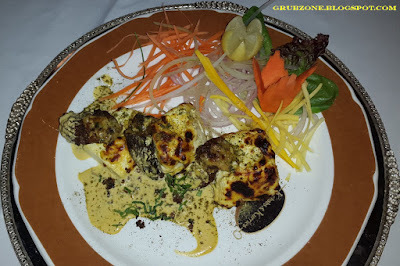 Chef JP Singh's Guchhi Paneer Ke kebab was made of Morel mushrooms filled with cheese. 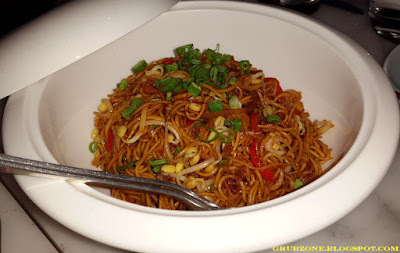 These had a little spice and were a perfect combination of spicy and savory. I don't think there was a person on the table that did not enjoy this kebab. I have eaten many mushroom and cheese combinations but this one definitely has been the best duo in my experience so far. Again this would make a great bar nibble. The flavor felt very Punjabi. ITC's vegetarian Pulao and Mutton Biryani are quite famous in Mumbai. 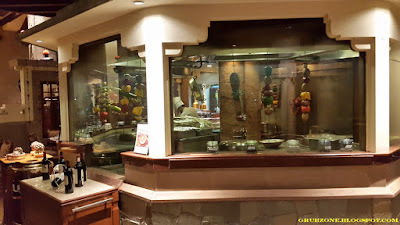 ITC Grand Maratha is said to have the best Mutton Biryani in all of Mumbai but sibling ITC Grand Central isn't too far behind. 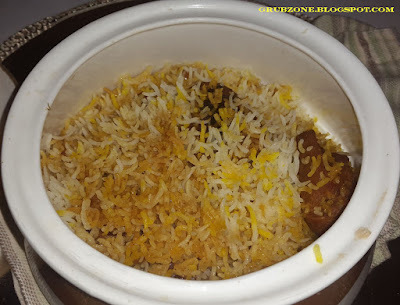 The mutton Biryani was less oily and definitely one of the best I have had. In fact, there was only one other place which offered better Biryani. Gulab Jamun Panna Cotta was brought in by smiling Chef Avani Mudbodri who had created this dessert. The Panna Cotta had perfect consistency and would make the best of Masterchef contestants fume with envy. It was properly fused with the essence of Rose and once could savor the flavor deep within. It was paired with Gulab Jamun and both seemed to go well together. This goes on to say that Indian and Western foods work very well together. If only they stop talking about who is better and start working together (wink). 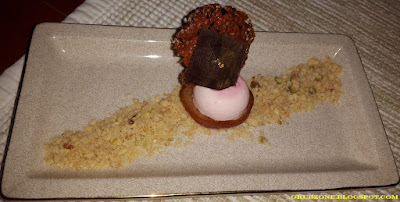 The grainy yellow mixture surrounding the dessert seemed to resemble the flavor of Almonds and Sohan Papdi. The prices are on the higher side as is the case in any super five star establishment. But how often does one get to experience eight experienced chefs from all over India making forty different Kebabs with many signature recipes that no one else can concoct? 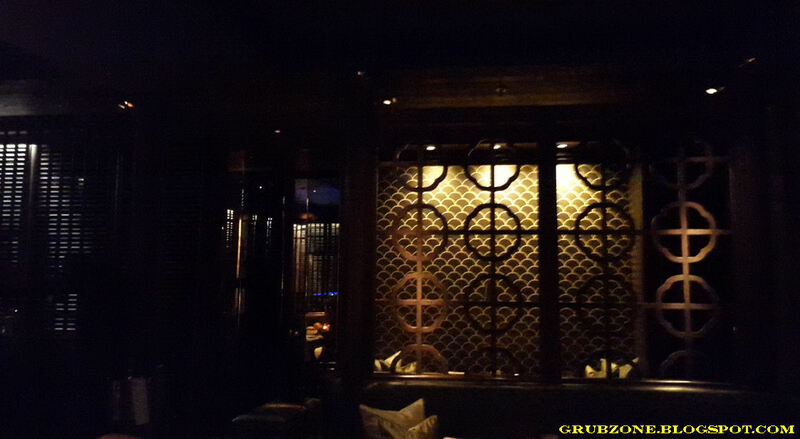 KnK seems to enjoy good patronage as there were many patrons seated on other tables. The restaurant appeared crowded. 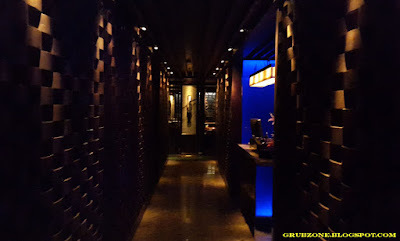 The servers were professional, very well versed with the grub themselves. I thank you, if you managed to reach this point. I felt that it was necessary to cover all sixteen Kebabs, each was an unique experience after all. That still leaves twenty four so there is a lot left to explore ha. This is once in a lifetime kind of thing. Sadly it only lasts till the 13th of September so if you love Kebabs, you better head out fast. "The Banquet is over, stop being greed lads. SIXTEEN Kebabs should keep ya happy for a week. Time to leave this island...for now."